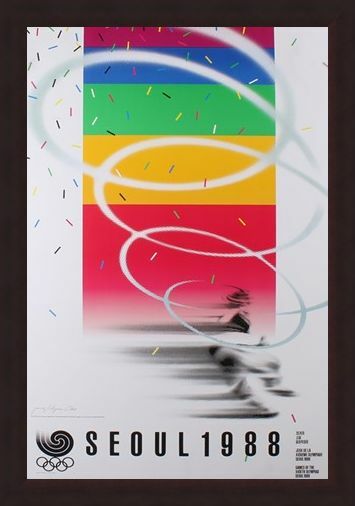 Limited Edition Print: If you love watching the Olympic Games and are a huge fan of sports, then this print is not just a great buy to keep your love for competitive sports alive, but the originality and beauty of this print will look spectacular in your home. 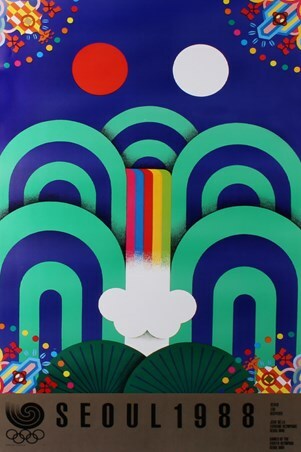 The rectangles of colour in the centre of the poster look magnificent against the swirled pattern as confetti flies down from the sky. 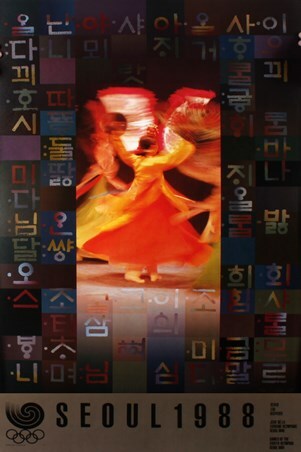 It is sure to add to the aesthetics of any room as well as supplying a sense of culture and magnificence. 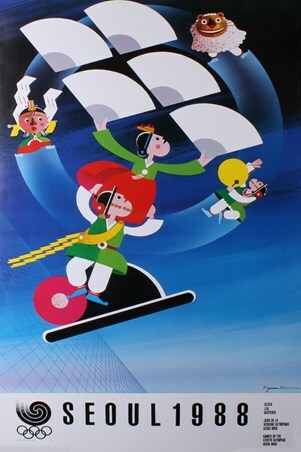 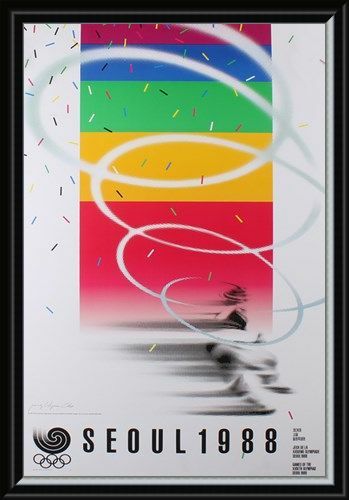 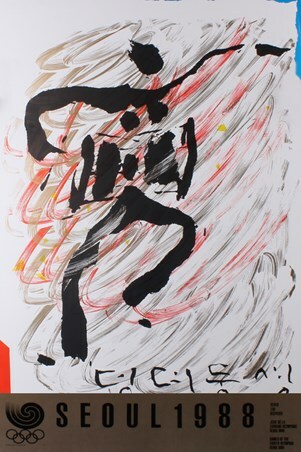 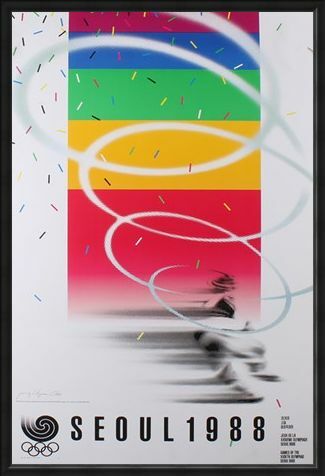 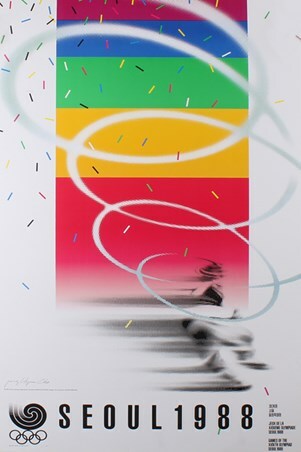 High quality, framed Commemorative Art Print By Cho Jong-Hyun, 1988 Seoul Olympic Games limited edition print with a bespoke frame by our custom framing service.